These are the HIGH PRESSURE FLOATS that big game hunters have been waiting for. 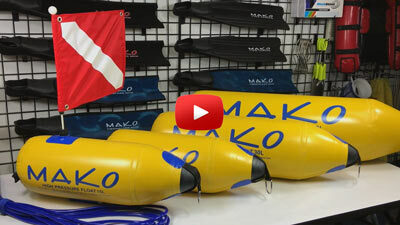 The MAKO Spearguns HIGH PRESSURE SPEARFISHING FLOATS are so loaded up with features, it is not just a float... It is a piece of spearfishing gear. And, the price is equally amazing. When I designed these floats with the Zodiac Nose Cone, I knew they would be popular among serious hunters. But I had no idea they would be this popular. After testing my first prototype with the Zodiac Nose Cone, I was highly impressed with how easily it could be towed through the water. Even in current, there is minimal drag compared to other floats. Equally important to the highly efficient hydrodynamic design, the bullet proof Zodiac Nose Cone also adds to the ruggedness of the float. The Zodiac Nose Cone can bang into rocks, coral, propellers, and even razor sharp trim tabs. You name it... It will not puncture. In addition to the Zodiac Nose Cone, I added a rear handle to the float for one main reason... Safety!!! And, I put the inflate valve at the back of the float so it would not get caught up on your buddies floatline. Another important feature for guys needing the optional dive flag is that I use one of my MAKO Lower Leg Weights as a weight, which further reduces drag as it acts like a keel on a sailboat. Constructed out of durable 1100 gram material which is the same durable Military Spec material as Special Forces boats (1100 gram). In addition to using the best material, we also use a welding process (not glued) on all seams which makes for a much stronger float. The 15 L & 30 L floats have a max pressure of 21 psi which can provide 100% of the lift at about 45 feet. The much larger 60L float has a max. 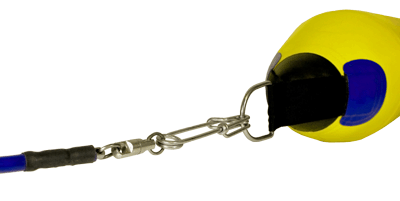 pressure of 15 psi which provides 100% of the lift capacity at a depth of about 35 feet. 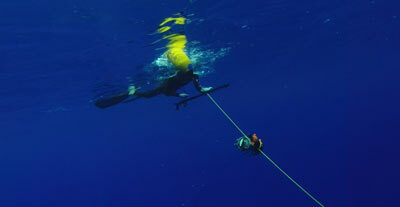 Only the 15 L High Pressure Spearfishing Float is available with an optional Florida Legal Dive Flag and hydrodynamic weight to keep the flag upright. This design is unlike any other weighted keel where the elongated shape of the weight and pocket reduce drag and minimize snags. Zodiac Nose Cone dramatically reduces drag in the water. 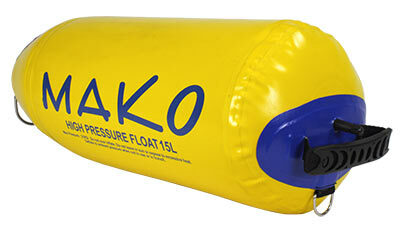 21 PSI Pressure Rating on the 15L & 30L floats and 15 PSI on the 60L float means more flotation at depth. Valve Stem positioned at the back of the float (instead of the side) so it does not get caught on your buddies float lines. Handles Save Lives! Equipped with a rear handle for safety and for towing. Front and Rear D rings for connecting to float lines. Available in 15L, 30L and a whopping 60L, these high pressure floats are taking huge fish, including monster Tuna and Wahoo. Love the 60L, but needed a slightly smaller float for Lobster diving that can still float my lobster bag on. 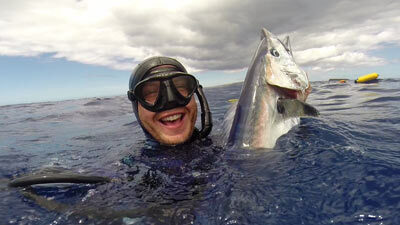 This fills the bill for that as well as reef hunting, especially for shore dives. Easier to carry than the 60L, awesome floatation, and great visibility for dive buddies and towards other boaters. Smooth transaction very much satisfied.